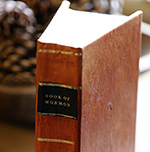 The Book of Mormon includes a stark portrayal of Satan, or the devil as he is more commonly called in the text. Satan’s main desire, according to Book of Mormon prophets, is to make “all men . . . miserable like unto himself” (2 Nephi 2:27). This he does by leading men and women into sin, lulling them into carnal security, blinding them towards the things of God, and stirring up strife and contention in the hearts of the children of men. Some have wondered how the Book of Mormon has such a vivid depiction of Satan while the Old Testament or Hebrew Bible appears to lack a concrete conception of him. 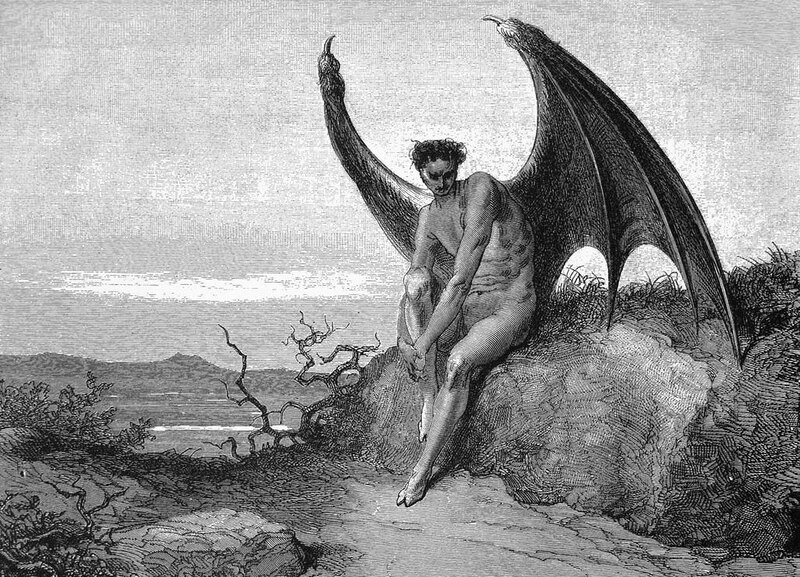 While it is true that Satan (or “the satan”) appears in such passages as Numbers 22, Job 1–2, Zechariah 3, and 1 Chronicles 21, biblical scholars have argued over whether this figure is necessarily an evil entity opposed to God, and, if so, whether his identity and function evolved over time in ancient Israelite religion. The non-Mormon biblical scholar G. J. Riley explained, “In the Hebrew Bible, one finds the concept of the ‘adversary’ (Heb. śāṭān) in two senses: that of any (usually human) opponent, and that of Satan, the Devil, the opponent of the righteous.” That śāṭān in Hebrew can refer to both mortal and divine adversaries (who may or may not always necessarily be evil) has led to conflicting interpretations of the Old Testament passages in which he appears. Indeed, it appears that ancient Israelites possessed an understanding of demons or other evil deities that opposed God (NRSV Leviticus 16:8; 17:7; Deuteronomy 32:17; Psalm 106:37–38; Isaiah 13:21; 34:14). They likewise understood God as combatting sea monsters and waters that personified chaos and destruction (NRSV Psalm 74:12–17; 89:9–12; 93:3–4; Job 26:12–13; Isaiah 27:1; 51:9–10). In later biblical writings the chaos monster, “the great dragon” or “old serpent,” would come to be explicitly identified as Satan (Revelation 12:1–11). The name rendered as “Lucifer” (Latin for “light-bearer”) in the Hebrew text is Helel ben Shachar (hēylēl ben šāḥar) and literally means “shining one, son of dawn.” This links him with “a Canaanite myth of the gods Helel and Shahar . . . who fall from heaven as a result of rebellion” (cf. Genesis 6:1–4), as well as a deity from the ancient Near East identified as “a star in the constellation . . . associated with Ištar and through which passes Venus” (cf. Job 38:6­–7). Another LDS scholar, John A. Tvedtnes, wrote, “Lucifer’s attempt to sit on the holy mountain reflects his desire to become part of the heavenly council.” In the words of one biblical scholar, he tried to “sit enthroned on the mountain where the assembly of gods met . . . in effect as the king of the gods.” For his presumption, Lucifer, the mythological personification of perhaps the Assyrian king Sargon II (circa 722–705 BC), was cast down to the underworld, where he was to be stripped of his power and prestige, mocked by those he once oppressed, and ultimately defeated by Yahweh (Isaiah 14:15–23; 2 Nephi 24:15–23). Knowing, as he did, the essential story of the fall of Adam and Eve in the Garden of Eden (2 Nephi 2:15–27), Lehi knew of “the captivity and power of the devil” (v. 27), who was “the father of all lies” (v. 18). He also knew that the devil and wickedness were in “opposition” to God and his righteousness (vv. 11–13). But where the devil had come from was not explicitly stated in Genesis. Perhaps puzzling over this very gap in the records known to him, and with the contextual background to Isaiah 14:12 in mind, it is easy to see how Lehi could have “supposed” the existence of the devil, an angel or divine being who opposed God and so fell to the lowest world (hell). Lehi’s cogent explanation was then picked up by his sons Nephi and Jacob and perpetuated and developed further by subsequent Book of Mormon prophets and authors. By providing a clearer depiction of Satan than the Bible, the Book of Mormon helps us recognize him and his tactics. “In addition to exposing the tactics and plans of Satan,” wrote Clyde James Williams, “the Book of Mormon gives clear and direct counsel on how to overcome him.” With these two scriptural records combined, we are better prepared to withstand the Adversary and his minions. Clyde James Williams, “Satan,” in Book of Mormon Reference Companion, ed. Dennis L. Largey (Salt Lake City, UT: Deseret Book, 2003), 701–703. “Satan” appears 27 times in the Book of Mormon, beginning in 1 Nephi 13:29. “The devil” appears some 89 times in the Book of Mormon, beginning in 1 Nephi 12:17. See for instance the comments by Blake Ostler, who argued that the strong presence of Satan in the Book of Mormon is a theological “expansion” by Joseph Smith as the inspired translator of the text. Blake Ostler, “The Book of Mormon as a Modern Expansion of an Ancient Source,” Dialogue: A Journal of Mormon Thought 20, no. 1 (Spring 1987): 85–87. See generally Peggy L. Day, An Adversary in Heaven: śāṭān in the Hebrew Bible, Harvard Semitic Monographs 43 (Atlanta, GA: Scholar’s Press, 1988); C. Breytenbach and P. L. Day, “Satan,” in Dictionary of Deities and Demons in the Bible, ed. Karel Van Der Toorn, Bob Becking, and Pieter W. Van Der Horst (Leiden: Brill, 1999), 726–732. G. J. Riley, “Devil,” in Dictionary of Deities and Demons in the Bible, 247. See the commentary by G. J. Riley, “Demon,” in Dictionary of Deities and Demons in the Bible, 235–240. On this point, see Stephen O. Smoot, “Council, Chaos, and Creation in the Book of Abraham,” Journal of the Book of Mormon and Other Restoration Scripture 22, no. 2 (2013): 31–34. Joseph Blenkinsopp, “Isaiah,” in The New Oxford Annotated Bible, 3rd ed., ed. Michael D. Coogan (New York, NY: Oxford University Press, 2001), 999. One thinks also in this instance of the angels who were said, in the Enoch literature (1 Enoch 6–11), to have fallen from heaven. See Christopher Rowland, The Open Heaven: A Study of Apocalyptic in Judaism and Early Christianity (Eugene, Oregon: Wipf and Stock, 1982), 93; P. W. Coxon, “Nephilim,” in Dictionary of Deities and Demons in the Bible, 618–620. J. J. M. Roberts, First Isaiah: A Commentary, Hermeneia: A Critical and Historical Commentary on the Bible (Minneapolis, MN: Fortress Press, 2015), 209. David Bokovoy, Authoring the Old Testament: Genesis–Deuteronomy (Salt Lake City, UT: Greg Kofford Books, 2014), 209. John A. Tvedtnes, The Most Correct Book: Insights from a Book of Mormon Scholar (Springville, UT: Horizon Publishers, 2003), 152. Roberts, First Isaiah, 201, 207–209. Many biblical scholars even maintain that the serpent in Genesis 3 is not necessarily evil, and therefore not the devil as understood in later Jewish and Christian interpretation, but is merely a crafty trickster animal (Genesis 3:1). For representative views along these lines, see James L. Kugel, How to Read the Bible: A Guide to Scripture, Then and Now (New York, N. Y.: Free Press, 2007), 51; R. S. Hendel, “Serpent,” in Dictionary of Deities and Demons in the Bible, 746–747. Bokovoy, Authoring the Old Testament, 208. Oh, the fulling of prophesy. 2 Nephi 28: 22 "And behold, others he flattereth away, and telleth them there is no hell; and he sayeth unto them: I am no devil, for there is none --and thus he whispereth in their ears, until he grasps them with his awful chains, from whence there is no deliverance." Scholars may like to dance with the devil but remember it is a chain dance that I would rather avoid. You seem to have missed what separates us Mormons from those who use the Holy Bible only. We can use ALL scriptures the Lord has given to us. Moses chapter 4, in The Pearl of Great Price, explains simply and clearly how and why Satan became who he is, All the ancient religions whose teachings conflict with the restored gospel of Jesus Christ have bits and pieces of the original truths and are not to be faulted for the errors. They were deceived. Trying to prove something using only one or two books when more are available for clarification seems counter-productive and can only lead to more disputation.